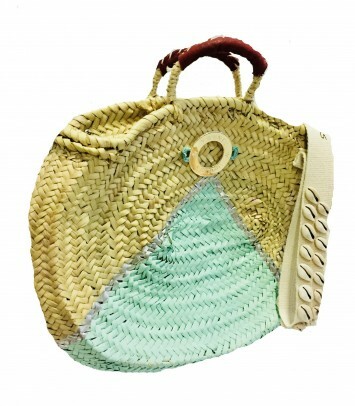 Oval bag made of natural wicker. 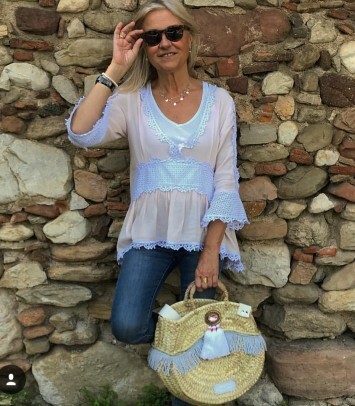 Wicker basket bag. 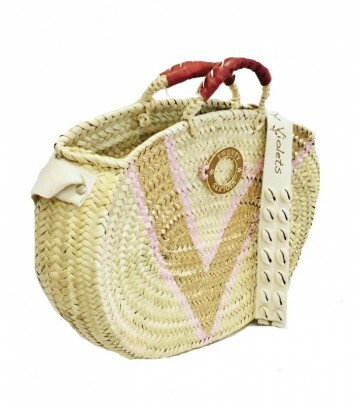 Unlined basket with leather little handles and long cotton handle with printed Twenty Violets logo. Approximate measurements: 37 centimeters x 20 centimeters. All our baskets are handmade one by one. Painted with resistant wicker paint and subjected to a high quality control. 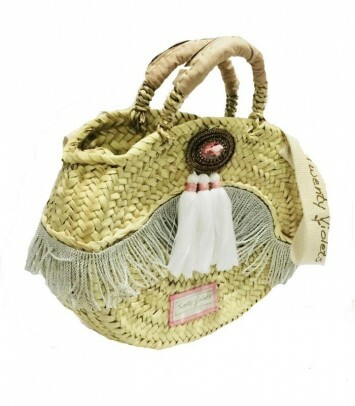 Oval bag made of natural wicker with silver fringes. 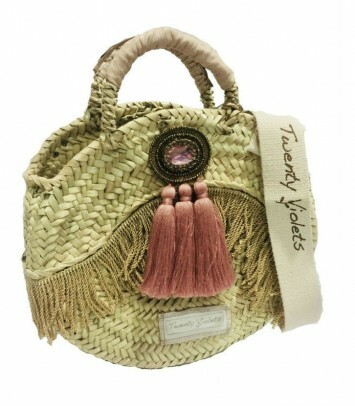 Unlined basket with leather little handles and long cotton handle with printed Twenty Violets logo. Approximate measurements: 37 centimeters x 20 centimeters. All our baskets are handmade one by one. Painted with resistant wicker paint and subjected to a high quality control. 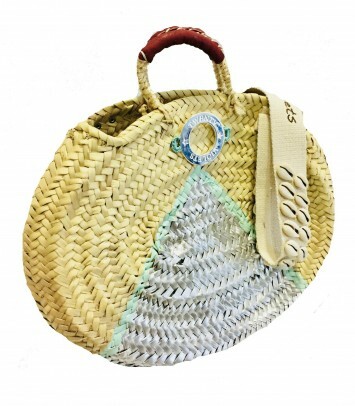 Hawai model basket Approximate measurements 37cm x 20cm. The color of the leather handle may vary. 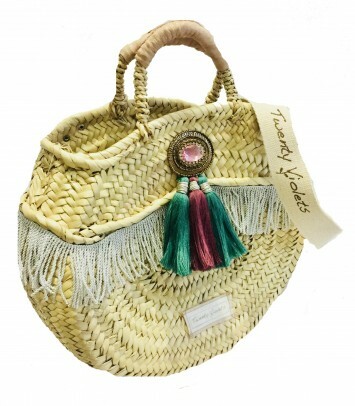 This model has large cotton handle with brand seal (shoulder bag). All our products are handmade one by one. Treated with a special paint and are of the highest quality.